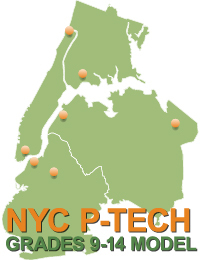 In NYC P-TECH Grades 9-14 schools, students take an integrated sequence of high school and college courses with the goal of completing both high school and college, while simultaneously being exposed to hands-on work experiences. This infographic describes the model and introduces MDRC’s evaluation of it. How Did Georgia Increase Voluntary Acceptance of Service by 8 Percentage Points? An essential step in the child support process is delivering legal documents to the person named as a parent. This infographic summarizes results from a Georgia intervention that aimed to get parents to come in and accept documents voluntarily instead of using a sheriff or process server to deliver them. Most community college students enroll in fewer than 15 credits per semester, making it nearly impossible for them to graduate in two years. Many also struggle academically. This infographic describes how the Finish Line project will attempt to use behavioral science to address these issues and thereby improve graduation rates. Encouraging Additional Summer Enrollment (EASE) aims to increase summer enrollment rates among low-income community college students using insights from behavioral science. This infographic describes some of the benefits of summer enrollment, reasons why students may not enroll in summer, and interventions the EASE team designed to address low enrollment rates. MDRC launches the first of a five-part web series from the Chicago Community Networks study — a mixed-methods initiative that combines formal social network analysis with in-depth field surveys of community practitioners. It measures how community organizations collaborate on local improvement projects and how they come together to shape public policy.